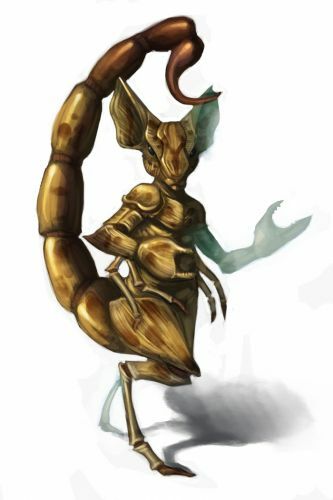 The Chitinous Mouse is a breed of mouse found in the Jungle of Dread. They are known to drop Fire Salt, Runic Potion, and Timeless Mystic Gem. Cheese: Pungent Havarti Charm: ?? The rigid exoskeleton of the Chitinous mouse easily repels the attacks from most traps. Strangely attracted to the musty scent of Pungent Havarti cheese, the Chitinous mouse will attack any trap to get its pincers on a smelly morsel of its favourite snack. Chitinous mice have been found to be especially attracted to Pungent Havarti cheese, to the point that any other kind of cheese will simply not suffice. Shadow type traps such as the Clockapult of Time are very effective against Chitinous mice. All traps with other power types are ineffective against these mice. The Chitinous Mouse drops the Jungle of Dread Egg during the annual Spring Egg Hunt. Chitinous mice began dropping the Scalloped Pink Egg as loot, on 19 April 2011, for the Spring Egg Hunt 2011 event. During the Spring Egg Hunt 2011, Chitinous mice also dropped a bonus Jungle of Dread Egg as loot for hunters who had obtained the Rocket Rabbit Mallet. They dropped the same loot the following year during the Spring Egg Hunt 2012 event for hunters who had obtained the Eggscavator. 29 July 2015: The Chitinous Mouse stopped dropping Laboratory Map Piece. This page was last edited on 13 February 2016, at 08:30.